EARRINGS - SARAH COVENTRY. "CATHERINE". 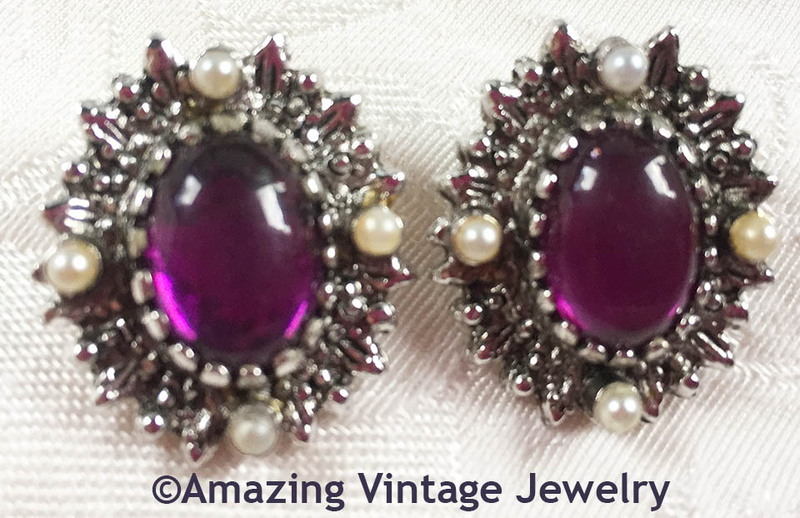 ANTIQUE-LOOK SILVERTONE WITH OVAL PURPLE CABOCHON CENTERS AND 4 TINY FAUX PEARLS. CLIP. 1" LONG, 13/16" ACROSS. VERY GOOD CONDITION ALTHOUGH SOME OF THE FAUX PEARLS ARE SLIGHTLY YELLOWED.